Being president of the student organization UCF Future Technical Communicators, a full-time technical communications student and a full-time Lockheed Martin employee is a heavy load, but for Andrea Romero, it’s worth it. Romero began at UCF as an information technology major, but found she could blend her passions of writing and technology in the technical communication program offered by the Department of English. 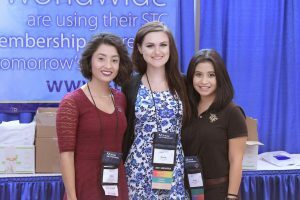 The program has offered her numerous opportunities, and she’s been able to carve a path for herself in the technical writing industry — a feat she says wouldn’t have been possible without FTC. FTC provides future technical communicators at UCF with career guidance and partners with the Society for Technical Communication (STC), the world’s largest technical communication organization, to offer a mentorship program for technical communication students like Romero. As president of FTC, Romero has not only helped grow the program, but has been a mentee herself. 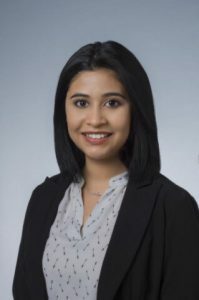 It was also through FTC that Romero learned about the Lockheed Martin College Work Experience Program, which places full-time UCF students in year-round, paid positions at the global security and aerospace firm. Last year, Romero did technical writing and development as part of the program, which led to Lockheed Martin offering her the full-time position she has today. Of course, she accepted. She had fallen in love with the company’s culture. “Everyone there is so open to diversity and accepting of new people,” she says. The English – Technical Communication, B.A. prepares students to fill the communication needs of the business and scientific community. Students learn how to apply the principles of written, spoken, and visual communication to a wide variety of situations, using state-of-the-art software and hardware in the departmental Technical Writing Laboratory. Receive notifications when FTC is meeting next semester by joining their Facebook group. Find out more and apply to the UCF Lockheed Martin College Work Experience Program through Career Services.